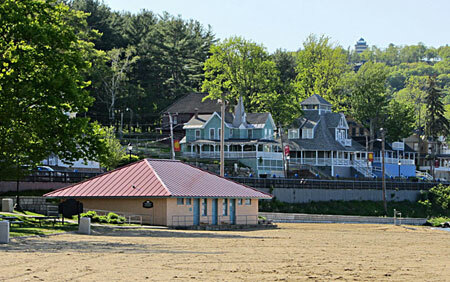 The following accommodations are at the very center of Weirs Beach. They are all within easy walking distance of the beach and boardwalk! THE most convenient location in Weirs Beach! At center of boardwalk, across street from cruise pier, train station. Walk to shops, restaurants, amusements. Closest lodging to public beach. King-size pool. Scenic view from every room. Modern motel, comfortable cottages. All units feature CCTV, AC, heat, carpeting. All cottages feature cathedral ceilings, ceiling fans. 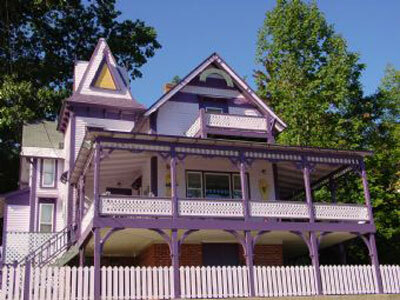 Available: two-room cottages, cottages with kitchenettes, motel suites with kitchens. Reasonable rates, friendly service. Inquire about our special savings packages. Since 1957. The house has an unbeatable location in Weirs Beach. You can walk to everything. Walk across the street to the beautiful public beach and park. Walk down the boardwalk to the docks, where you can take a boat cruise across the lake. Farther down the boardwalk you’ll find the railroad station, where you can take a scenic train ride along the shores of the lake. 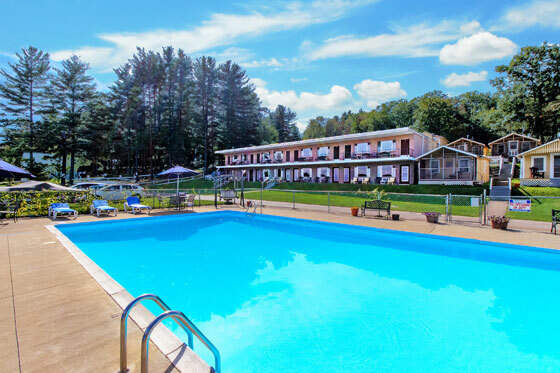 Walk down the sidewalk to the center of the action in Weirs Beach, where there are arcades, bumper car rides, mini-golf courses, and waterslides. Walk to breakfast, lunch, or dinner. There are several restaurants to choose from, all within easy walking distance. A house with a similar location to Romeo’s Balcony (see above), but even closer to the public beach, and with an even better view than Romeo’s!